Most posts like this begin with ‘it is with a heavy heart….or I am sad to say’ but not this one. Ahem. Nope….I am HAPPY to say I am getting off the trail!! I’m not quitting, I’m just done. Honestly I’m just over it, for now, really. So grab a beverage and I’ll explain. So hiking up Mt. Greylock (the highest peak in Massachusetts) I was moving at a snail’s pace. Not because I was tired or in pain, I just had zero desire or motivation. If you’ve read between the lines of my posts you might have picked up on this, or not. My last post took forever to write because I kept trying to put a positive spin on it. Question was who was I trying to convince? Don’t get me wrong, this has been one heck of an adventure. Had such fun, in camp and in town….but on the trail, not so much. I met some real characters out there and learned some lessons. Like, it’s important for me to make decisions based on what I feel and need not based on what others think/believe I should do. It’s my journey after all. Go confidently in the direction of your dreams…..but remember the map is not carved in stone. The things I’ve seen and done on the AT I won’t soon forget. People showed so much kindness and generosity. The miles I’ve completed and memories are many. But I set out to conquer the AT, which no longer seems that important to me, at this time. Turns out life adventures aren’t all or nothing, you know. On the PCT I wanted all that came with being a thru hiker, the good/bad, highs/lows. I was getting to Canada no-matter-what. See, to complete a thru hike you have to want it, from within. This time around, my want meter was at a strong meh. Now, Kathadin is still waiting….. and I will get there, eventually. Things tend to happen as they should, right? At the moment I’m on a train, headed west (what a novel way to see the country)….researching the CDT(Continental Divide Trail)!!! Story is not over yet……stay tuned. So I dubbed last weekend bad ‘decision weekend’. The decisions weren’t even that bad (I’ve made worse) but they certainly rather ridiculous. Sometimes I just get overly excited and don’t think things through, you know logically. So here’s what happened…. It was Memorial Day weekend and I really wanted to do something since my trip to the desert was out. Decided that I needed to do some hiking and Mt Baldy had been on my mind for a while. Out of the blue I stumble upon MissyKat having an extra ticket to Myth Masque in LA, something else I had wanted to do. Of course I decided I could do both, bad idea. A friend told me so but I was all whatever. Bad ideas are built on not listening. 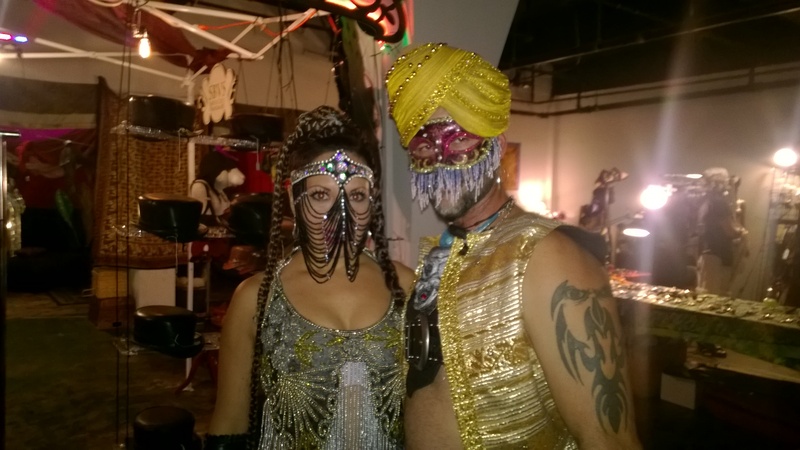 Now Myth Masque is not just any masquerade ball in LA, people go all out with costumes. I, of course did not have a thing to wear. After totally stressing, I ended up buying a corset that was way out of my budget, bad idea. Friday night a friend had a housewarming party that I ended up staying way too late at, bad idea. But I was having such a good time, I have great friends, you would have stayed too. So staying out late Friday meant a Saturday morning rush to finish my costume and pack the car. Did I mention I hate driving to or around LA. Agh. The traffic is mad crazy and there are just people EVERYWHERE. Plus there is nowhere to park. The stress of me driving and a valet parking situation led the me rewarding myself later that night with……drinks!!! Bad idea. But again you would have too. 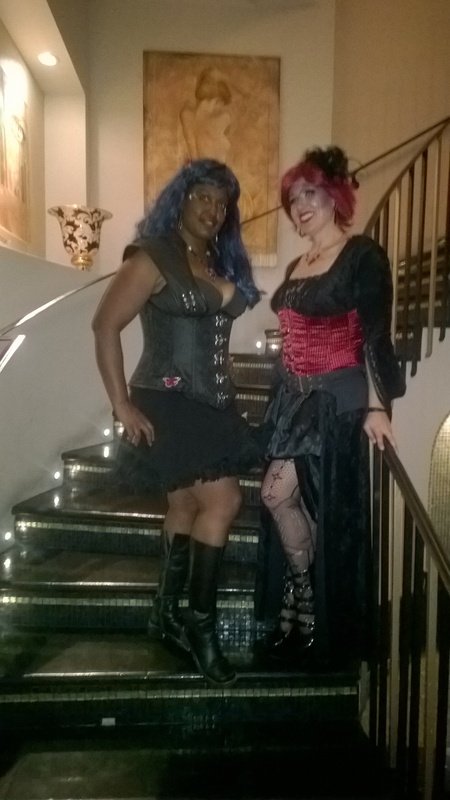 It was a festive atmosphere, the venue was spectacular, the costuming was top notch, the company was good, so …..I got my party on. Bad idea. After about 4 hours of sleep I dragged myself up (makeup still on from the night before) and started what was supposed to be a simple one and half hour trek to Mt Baldy. I was meeting Liz and Mark at 8. I had planned on grabbing some food/drinks for the hike on the way……that did not happen. Why…..in my sleepy has I totally took a wrong turn and got lost (sorta) at least went way outta of the way. Didn’t get to the mountain until 9:30 (sorry Mark and Liz). Now Liz and Mark are in great shape and good hikers so they were ready to take that mountain. I was pleading with my legs not to revolt. That was the weird thing about the whole hike, I was feeling good from the waist up. From the waist down my legs felt like lead, every step not painful, just hard. I managed to drag myself to the lodge after a gazillion breaks. Then the death march began, for me anyway! (let it be know if it hadn’t of been for Mark & and Liz I would have turned back, heck I might not have gotten out the car! They are fun to hike with and put up with all my whining.) We went up this stretch of rocks that was steep and seemed to never end. I kept telling the others to go ahead as I was basically pausing every third step. I finally made it to the top (well that top anyway). From here it leveled out a bit as you cross Devils Backbone. I must say even in my exhausted state, WoW what a view!! You can see clear down to the desert floor and the cool breeze rushing across the peak was refreshing. We rested here before starting across the tiny trail that led to the summit. There were plenty of people coming down from the summit (they obviously did not miss the mystery turn off). The thing about hiking is you get plenty of time to think. The one thing on my mind that last sections was ‘holy carp next year I’ll be doing this with 25 pounds on my back, dear goodness’. The other thing about hiking is the distance between utter misery and euphoria is very short. As I trudged along I reflected on all the bad decisions I had made recently made and came to two conclusions, I can’t change them and don’t have to make anymore. 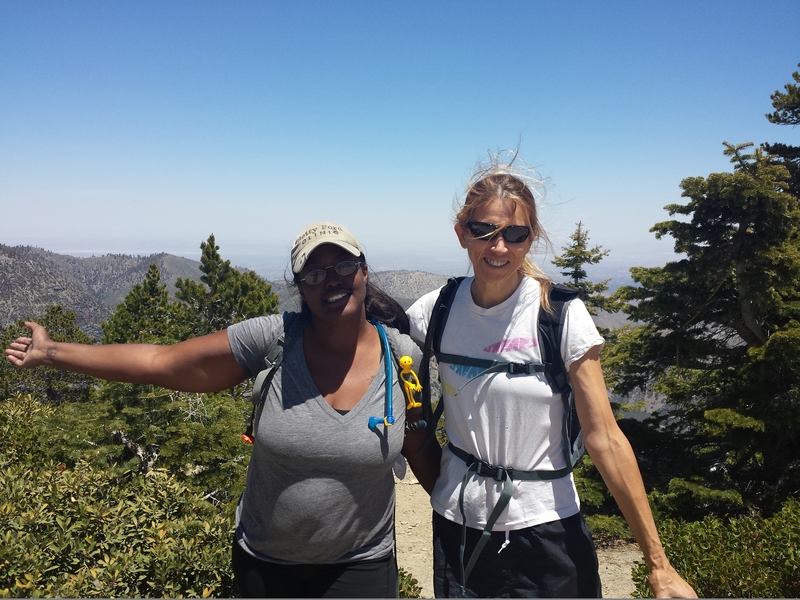 A term used frequently on the PCT is HYOY (hike your own hike). When we turn that last corner and I saw that 700′ vertical climb to the summit was when I stopped. Hiking my own hike meant letting the others go on and my turning back. Sure I could have limped up there just to say I did, but that most likely would have meant me being rescued or spending the night on the summit. Long story short (after all that lol) I went back down, Mark and Liz made it to the summit then we all took the chair lift back to the parking lot! All in all it lessons were learned and memories were made. I’ll go back and bag that summit, everything in it’s time! Lately I’ve been ruminating over all the similarities of the adventures I undertake. Mainly Ragbrai, Burning Man and the PCT. They are all quite similar but different, but things I gravitate to all the same. Check the links to see what these are all about, because I could go on for days about them all. 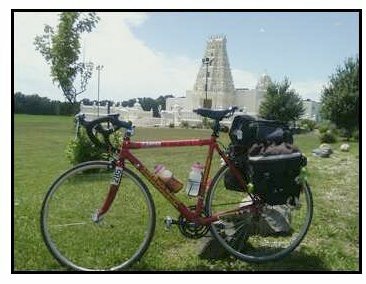 Basically Ragbrai is a weeklong bike ride across Iowa, Burning Man is well TTITD, and PCT a long distance thru hike (for me anyways). In each of these experiences you really want to pack ALL THE THINGS, you convince yourself you need ALL THE THINGS (you really don’t). THING is you have to transport the things. You pack them on your bike, in vehicle or on your back. 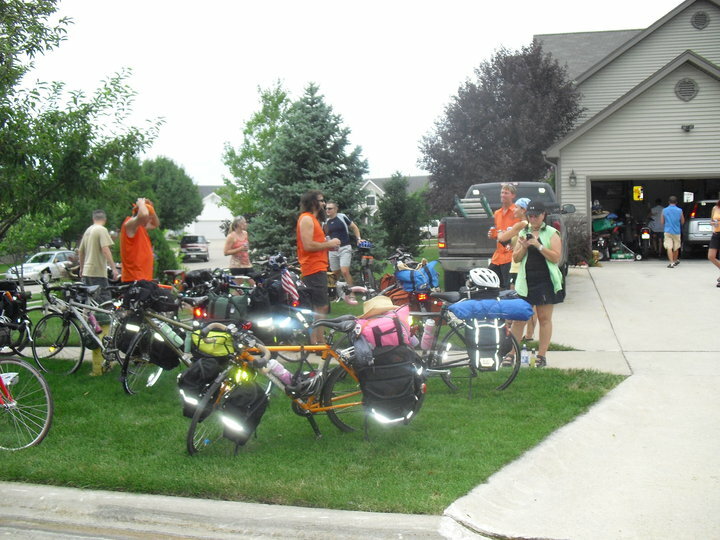 I’ve seen bikes weighted with more than 60 pounds of ‘gear’ on Ragbrai, but your rolling so….hills are a b***h thou. On the PCT, for your own enjoyment you will want a whole lot less, a shakedown will take care of that. Burning Man well heck if it won’t all fit in or on top of your car you upgrade to a Uhaul! There is a level of physical and mental preparedness that is necessary for each of these endeavors. If you choose to go unprepared, which some do, you will wise up quickly pay dearly. Each one of these contain a level of danger involved that could, well, result in death. But hey, nothing like a little death and danger to make things exciting. On both Ragbrai and the PCT there are a lot of people willing to help you out. On Ragbrai they are called Iowans; on the PCT they are called Trail Angels. I’ve heard tales of how generous trail angels are; I have experienced the generosity of Iowans. These are people who when a bunch strangers on bikes roll into town they open there hearts and homes. Iowans will let you stay in their house/camp on their front lawn, do your laundry, drive you the next town, fill you with adult beverages, then grill you dinner! One time we camped in the town square of a very small town, in the morning some local ladies brought out the best the best egg casserole and oj for breakfast, just because. 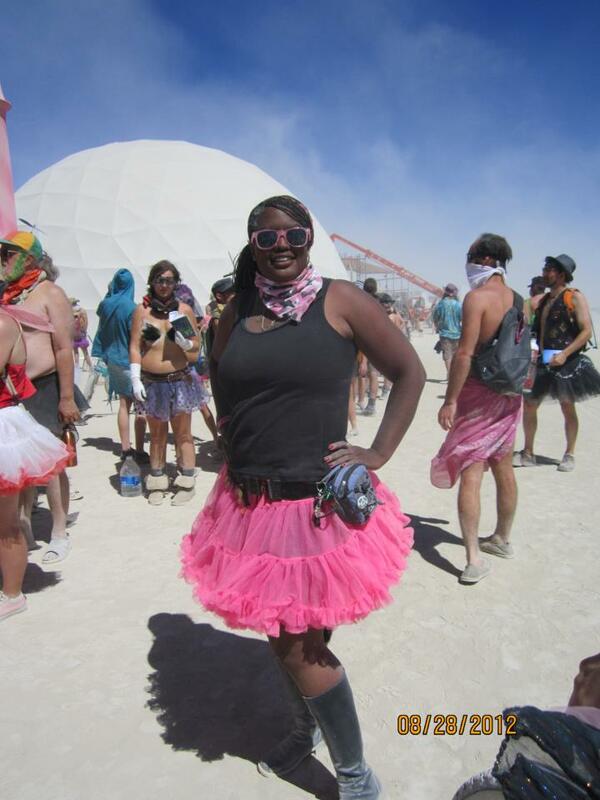 At Burning man this comes in many forms, people helping put up your camp, gifting food, presents, hugs, rides, even a shoulder to lean on. Then there is the time. Ragbrai runs a 7 days (+3 if you bag out from Des Moines), Burning Man runs a week also (unless you have early entry or stay late then it could be 10-14 days). The PCT 4-5 months, time commitment indeed. So if you a looking a adventure, I highly recommend checking your vacation time then heading out to any of these. Why not? You never know what dangerously amazing experience you might have!